NOTE: The cache is not at the coordinates listed above. Solve the puzzle below to find the coordinates for this cache. If you enjoy difficult puzzles, look for the other caches in the PMC2 series. This series is designed to lead you on an epic adventure that will require Master puzzle-solving skills and extensive travel to unique locations. You must travel and log in at each cache in order to claim a find on the final. Due to the extensive time and effort put into this challenge, the cache can be done as a group but each member of the group must go to each cache site and sign each log. Dividing into sub groups and pooling their efforts will not be allowed. All 18 caches will be released sporadically between now and the EVENT to be held in June. 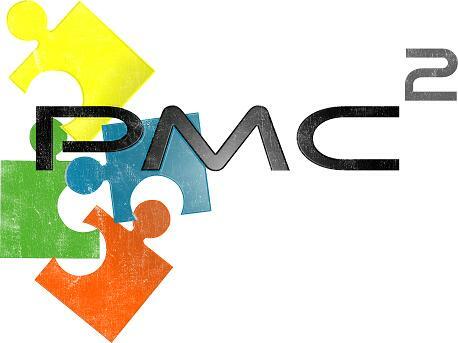 To make them easy to find we have created a WEBSITE that will have a complete list of all the available PMC caches in all 4 series as they are published. Your mission, should you choose to accept it, is to track down the spot where agent 008 has hidden a cache containing secret documents. Operatives have been tracking the movements of agent 008 over the past few days and believe he has been leaving clues to the whereabouts of his secret stash. On Thursday, agent 008 was seen leaving his home at 10100 Sayre Avenue, Chicago Ridge. He was followed to the airport where he boarded a plane to Portland. Upon landing, he quickly made a dash for the Light Rail and after a couple of transfers was seen disembarking a bus at stop 1779. After overnighting in a nearby warehouse, agent 008 was again spotted boarding a bus at the same stop and returning to the airport the next morning. After some clever deception by agent 008 our field operatives were sent on a wild goose chase to stadion utama gelora bung karno and detained by customs officials in Jakarta while agent 008 doubled back to the twin cities for a rendezvous at 2550 S Humboldt. From there he walked east a mile and a half to Clinton Field Park and was spotted getting into a van parked directly across the street. The van was on a field trip from the Department of Ecology & Evolutionary Biology of the University of Arizona. While our operatives went undercover and attended a seminar titled: Living with cannibals: costs and benefits, agent 008 slipped under the radar until he turned up a week later at Liberation Stadium in Port Harcourt Nigeria. He was tracked to a school approximately 1km SE of the stadium from which he mailed a package back to the Humboldt rendezvous spot before returning home. Operatives were able to stake out agent 008's house from a nearby command post and watched him retrieve his newspaper from the bushes out front for 3 days until he headed back to the twin cities for a final call at the Minneapolis Institute of Arts. He was seen running east between two neighboring apartment buildings on 24th Street before boarding a bus and giving our operatives the slip.